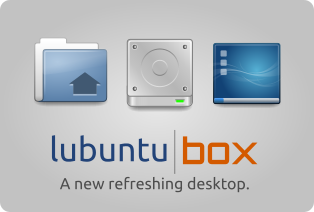 A new icon theme is going to land soon: Lubuntu Box. At this moment only a few icons and the design guide are being developed to create the main look line. Of course, the icon theme will (and always) be free, released under GPL license, and it will fit another desktop environments, such as Gnome3 or Unity. Stay tuned!